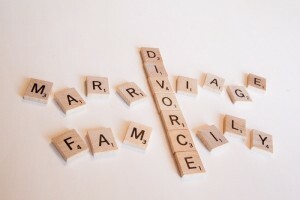 Uncontested divorce is a unique area of the law. Unlike other civil suits there is a timeline and phases, which can either make the case move forward quite quickly, or when not handled properly, extremely slow. I have often been asked by clients during an uncontested divorce “when will this be over?” This is a great question, and focuses on what legal steps need to happen to complete the uncontested divorce. In this blog I layout the four procedural phases of what must occur to complete an uncontested divorce. In this blog I presume the parties have signed a property settlement agreement and have been separated for the period of time required by statute to make the filing of an uncontested divorce appropriate. Phase 1 – Filing the Divorce: Even if you have signed a property settlement agreement which disposes of your assets and issues such as custody and support, you still must file a complaint with the local circuit court. This step will initiate the divorce with a legal proceeding and the allegations will become public record. There is a detailed procedure for the requirements of the complaint and it will also require a filing fee. Phase 2 – Service, or Waiver of Service: The second phase of an uncontested divorce is to have the other party served with the Complaint. This will commence the 21 day period the other party has to respond. Often times, the parties will elect to precede with a Waiver of Service. This expedites the uncontested divorce and does not require the filing party wait 21 days. However, the waiver must be received by the opposing party, signed before a Notary Public and returned that to your attorney handling the case. Once either documentation of Service, or the Waiver of Service is completed, the documents are filed with the same court where the Complaint was filed and the second phase is complete. Phase 3 – Affidavits or Depositions: A divorce in Virginia requires the completion of affidavits or depositions. Most clients and attorneys will elect to use Affidavits as they do not require a court hearing. Regardless, depositions and affidavits serve the same legal purpose. Both affidavits and depositions are a process of attesting to the allegations of the Complaint. They must include certain statements that are required by law and must be sworn under oath by one of the parties as well as an independent witness. Once these are completed, phase three of an uncontested divorce is complete. Phase 4 – Filing the Final Decree: The final phase is filing of the Final Decree. The Final Decree is the legal document which Orders that the parties are divorced. Like the Complaint, Waiver of Service, and Affidavits, the Final Decree must comply with certain legal procedures and must be filed in the same local circuit court. Additionally, many courts have local rules as to additional forms that must be filed along with the Final Decree. Within the Final Decree there must certain notices regarding assets, support, as well as the implications of a divorce on beneficiary designations. Once signed by a Judge, and a waiting period of 21 days, the Order will be final and the divorce complete. There are generally four phases to an uncontested divorce: Filing of the Complaint, Service or Waiver of Service, Affidavits and filing of a Final Decree. As you will notice, there is no specific timeline to complete these phases. Depending on the jurisdiction, and the compliance of the parties, some uncontested divorces can be completed in a relatively short period of time. In other instances, it can take more time to finalize. If you are considering an uncontested divorce, please feel free to contact Brandon C. Waltrip, Esq., and we can schedule a time to discuss your case and how these four phases would apply to your situation.